We offer our client an excellent quality range of Food Microbial Paddle Blender, which are manufactured from high grade quality raw materials. These Food Microbial Paddle Blender can be customized as per our precious customers specifications. These Food Microbial Paddle Blender are widely known for its durability and quality. 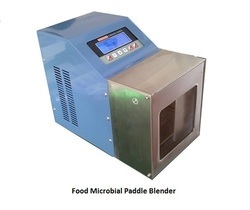 Our Food Microbial Paddle Blender can be availed at industrial leading price. 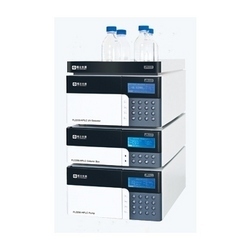 We are offering wide range of High Performance Liquid Chromatography to our clients. It allows better separation of the components of the mixture like smaller particle size for the column packing material for interactions between the stationary phase. HPLC depend on the relative polarity of the solvent and the stationary phase. 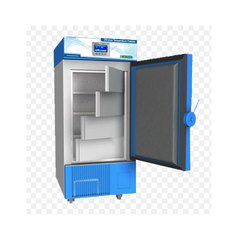 We are the suppliers of Ultra Low Deep Freezers of -80 deg.C and -120 deg.C vertical and horizontal models with CFC free refrigerant. The models high rugged and long lasting with double layer of rigid, foamed-in-place polyurethane to achieve perfect insulation with cascade refrigeration system. Capacities for horizontal models: 150, 340 cubic litres.